Base Unit PRO Ext lets you add 3 extra relays and 3 extra ports for cabled temperature sensors to your Base Unit PRO. Base Unit PRO Ext is an expansion module for Base Unit PRO. 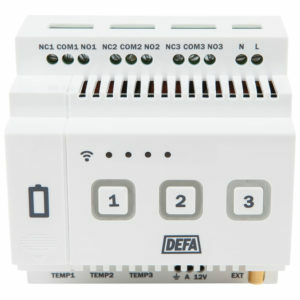 The module gives you 3 additional 16A/230VAC relays and 3 additional ports for cabled temperature sensors, a total of 6 each to control up to 6 zones. The additional relays can be used in the same way as the ones on Base Unit PRO. When you connect Base Unit Pro Ext, the app and web interface will automatically give you access to all of the 6 zones. NB! The sales package does not include cabled temperature sensors, order these separately if needed. Using the relay in switch mode is handy if you need to control an entire heating circuit with thermostat controlled ovens or if you want to turn on and off lighting. Switch mode can also be used to control floor heating thermostats that has an input for override/lowering. 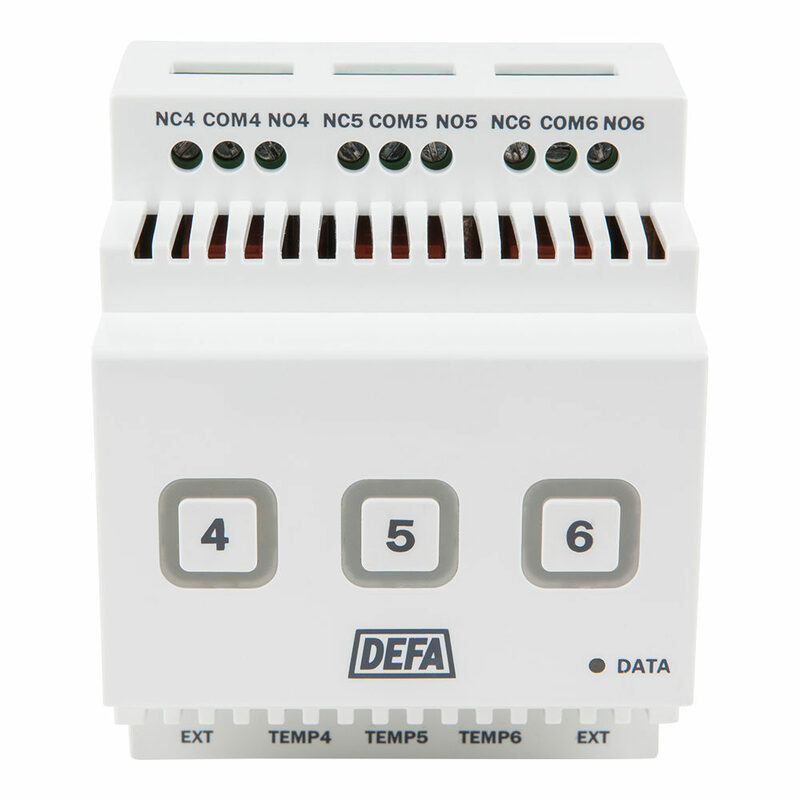 Using the relay as a thermostat is convenient for controlling heat in rooms with heating cables or panel heaters. Thermostat mode allows you to switch between conservation and comfort temperatures for each zone. Using the relay as a regulator will regulate heat according to the time proportion principle with a cycle time of 10 minutes. This means that the heating element is switched on and off in a pulse/pause ratio, which allows the supplied medium power effect to be adjusted to the current heating requirement. The product must only be mounted by a certified installer in a certified fuse box. Ensure that the installation is done by a certified installer. Mount Base Unit PRO Ext on the DIN rail in the fuse box. Connect the extension cable to Base Unit PRO. The product is now ready for use.